Malayna and Stacy are going to look back at the past year in pop culture to mine it for gems of insight! We’ll look at the trends, events, and highlights, and maybe even provide some follow-ups on past guests. As always, the conversation will turn, and tangents will be traveled, but like a well-told Hollywood tale, the year’s life lessons and themes will be wrapped up with a bow, just for you! From Malayna’s Pre-Show Notes — but be sure to listen to see how the conversation really went! The 2014 Unity yearly theme is Come Home: Realize Your Higher Self. You always have a home in Spirit, and you carry it with you. When you consciously link your mind with Divine Spirit, you rise to another level of being and living—as your higher Self. ONE Unity, One Presence and One Power; divinity; undivided; masculine principle. The number of new beginning. The month of January was named after Janus for his ability to turn one face to reflect upon the past and a yet another face freshly pointed upon the future…. Janus, with all his hindsight and foresight opens doors of both reflection of our past and contemplation of our future. In essence, the god Janus is kind of a bellhop or doorman for the mansions within our soul. This week, with celebrity guest Erika Eleniak, the Pop Conscious gals will be discussing pop culture that goes global and what captures the attention of young people. Do movies like E.T., (in which Erika was a cast member) still resonate with young people today? TWO Creative principle; male and female; spiritual and material realms. Sherry Hursey connected us with Lilly’s Light – (lillyslight.com), our sponsor for season 3 and Contagious Optimism! Our current sponsors! THREE Every level of being –Mind, Idea, Expression; Spirit, Soul and Body; Superconscious, Subconscious and Conscious minds. Adam Chester – http://adamchester.com/ – Surrogate Elton, Author of S’mother, and “Eight Days and Nights” in honor of Hanukkah. It’s been played on KOST 103.5FM in Los Angeles for the past several years thanks to the best DJ in the world…Mark Wallengren. FOUR Foundation. It can be in the form of a time of preparation or the four basic aspects of being – Spiritual, Mental, Emotional, Physical. Or download the podcast from iTunes! 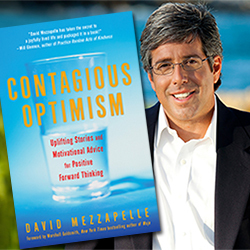 Pop Conscious welcomes author David Mezzapelle, the man behind the book Contagious Optimism: Uplifting Stories and Motivational Advice for Positive Forward Thinking. The bestseller has become a multimedia force and something of a movement. They’ll talk about the value of uplifting personal stories from people around the world, and the power of sharing our life’s adventures, and how entertainment can benefit. Tune in to find out how to catch the bug and spread the joy! You may be surprised to hear what David Mezzapelle identified as his pop culture influence from childhood! Listen and learn! This week, Malayna and celebrity guest Sherry Hursey will talk about the different ways that spirituality can be interpreted and portrayed in the media. From vampires to angels and shows with a penchant for the positive, we look at TV shows and films that will give you reason to examine your beliefs and also help you find inspiration! 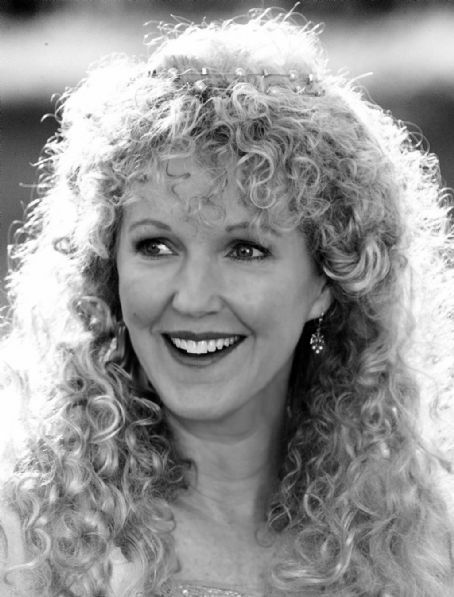 And we even find a way to connect April Fool’s Day and The Hero’s Journey, all with the help of their celebrity guest, actress Sherry Hursey! o Sherry Hursey (born in Rutherfordton, North Carolina) is an American actress best known for her recurring role as Ilene Markham on the sitcom Home Improvement and her 1988–1989 stint as Paula Carson on the soap opera Days of our Lives. Howl’s Moving Castle: When an unconfident young woman is cursed with an old body by a spiteful witch, her only chance of breaking the spell lies with a self-indulgent yet insecure young wizard and his companions in his legged, walking home. Her other television credits include Happy Days, The Six Million Dollar Man,The Mary Tyler Moore Show , Simon & Simon, Matlock, Major Dad, Dr. Quinn, Medicine Woman, and CSI: Crime Scene Investigation. The movie Bring It On (2000), playing the mother of Kirsten Dunst‘s character. In 2010, Hursey starred and produced the television pilot Lilly’s Light, starring in the titular role. The series was about a Lilly (Hursey) a foster mother living in an enchanted lighthouse raising three foster children. Actresss Mindy Sterling also co-starred. The TV Series on CW – The thrilling and terrifying journey of the Winchester Brothers continues with the ninth season of “Supernatural” on The CW. Sam (Jared Padalecki) and Dean (Jensen Ackles) have spent the last eight years battling the things that go bump in the night. Over the years, with the help of the fallen angel Castiel (Misha Collins), and the King of Hell, Crowley (Mark A. Sheppard), the Winchesters have straddled the line between good and evil. http://sidroth.org/ – Sid Roth, a Jewish believer in Jesus, hosts It’s Supernatural! TV. He has spent years investigating the supernatural of God. Soap Operas – Dark Shadows, Passions – Passions debuted in 1999 with major fanfare. Creator Reilly had been credited for a large surge in the ratings for Days of our Lives years before, thanks to innovative storylines like that of heroine Dr. Marlena Evans being possessed by Satan that drew new viewers, but also tended to alienate stalwart fans. With Passions, Reilly was able to start with a blank slate and no pre-existing fan base to please. 1. Don’t assume “fool” is interchangeable with “stupid.” While some fool characters may be stupid, that’s not the essence of the archetype. Elizabeth Bennet’s mother in Jane Austen’s novel Pride & Prejudice is a very silly woman, but she’s smart enough to know her daughters must marry to avoid ending up in poverty. 4. That doesn’t mean they never experience fear. Guy Fleegman in the movie Galaxy Quest is in a constant state of terror, but never thinks not to join in with the rest of the characters on their dangerous missions. Vietnam unscathed, while others around him are killed or injured. He also becomes an Olympic ping pong player, millionaire and pop culture phenomenon without trying very hard to accomplish any of those things. 12. In spite of causing havoc, fools can be a last resort for problems the main characters can’t solve. An example would be Delly Cartwright from The Hunger Games series. In Mockingjay, Peeta has been so damaged by torture he thinks Katniss is out to kill him. Their childhood friend Delly, who has such an optimistic and honest demeanor it’s difficult not to take what she says at face value, is brought in to convince him otherwise. 15. Don’t be afraid to twist the archetype a bit. Joss Whedon did this for two characters in his TV series Firefly: Jayne Cobb is hardly optimistic or innocent (on the surface, at least) but he fits the archetype in other respects. For instance, he is worshiped by the residents of a town called Canton as a savior when he actually meant to steal from them. On the other hand, the character Kaylee is optimistic, but also competent at her job.